 In the market for a mortgage loan? We can help! Give us a call today at 817-431-8618. Ready to begin? Apply Online Now. Some have said that only when your new interest will be at least two points below your current rate, should you refinance your mortgage. That might have been valid a while back, but with the fact that refinancing has been costing less over the last few years, it is a good time to explore the options of a new mortgage loan! Refinancing your mortgage has various benefits that can make it worth the up-front expenditure several times over. You could be able to bring down your interest rate (sometimes substantially) and make smaller monthly payments with a refinanced mortgage. You could also be able to "cash out" a portion of the built-up equity in your residence, which you will be able use to consolidate debt, make home improvements, or plan a vacation. You might have the option to refinance to a shorter-term mortgage loan, giving you the ability to build up your equity quicker. Of course, you'll have some fees and expenses during the process of refinancing. You'll pay the same types of fees as you did with your current mortgage. Included in your costs might be an appraisal, underwriting fees, lender's title insurance, settlement costs, and other expenses. You might need to pay points (prepaid interest) to attain a better interest rate. If you pay (on average) 3% of the loan amount initially, your savings for the life of the refinanced mortgage loan can be significant. You may hear that points may be deducted on your income taxes, but as tax regulations are difficult to keep up with, we urge you to consult with your tax professional before making decisions based on this. An additional cost that borrowers might take into account is that a reduced rate of interest will lower the interest amount you'll deduct on your taxes. Call us at 817-431-8618 to help you do the math. 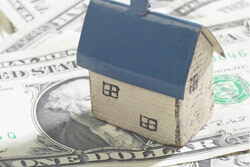 Ultimately, for most the amount of up-front costs to refinance are made up soon in monthly savings. We can help you find out what your options are, considering the effect a refinance may have on your taxes, how likely you might be to sell in the next couple of years, and your cash on hand. Call us at 817-431-8618 to get started. Curious about refinancing your home? Give us a call at 817-431-8618.